A radical anti-government group creates a deadly virus called G-14 hoping to wipe out the planet's population with only a few remaining. The plan does not go accordingly, however, and the virus gets out too early. Dr. James Nash, a former bio-engineer, dedicates his life to finding the antidote. When he does he's pressured into a situation where he has to inject the antidote into an arrogant night club owner, Ace Wild. Keeping Wild safe becomes the doctor's priority as he tries to find a way to extract the cure from his body while the two of them are on the run, a pretty wild one. Kenneth Irwin II has a creative mind that allows him to excel in many areas of art. Writing, photography, music, you name it! 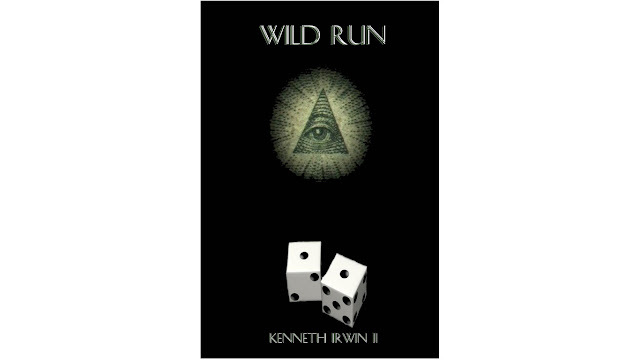 Wild Run was his second attempt at writing. He had to face many many obstacles during his journey, including getting kicked out on the streets at one point. He managed to get back on his feet each time. He's now self-published his book and it is available worldwide.